This month’s Image of the Month is one of my favourite photomicroscopy images. Taken with a Canon 5D MkII and an L3000 BHTG research trinocular microscope, the image shows Spirogyra in conjugation – Spirogyra being more commonly known as pond scum 🙂 The image is in unusually sharp focus for a microscopy image as I used the “focus stacking” technique together with the remarkable software package Helicon Focus. For focus stacking you take a number of individual frames with the object in sharp focus from the furthest point right up to the nearest point to the microscope. Each one of these in focus “layers” is then added to the others to give a totally in focus image using Helicon Focus. 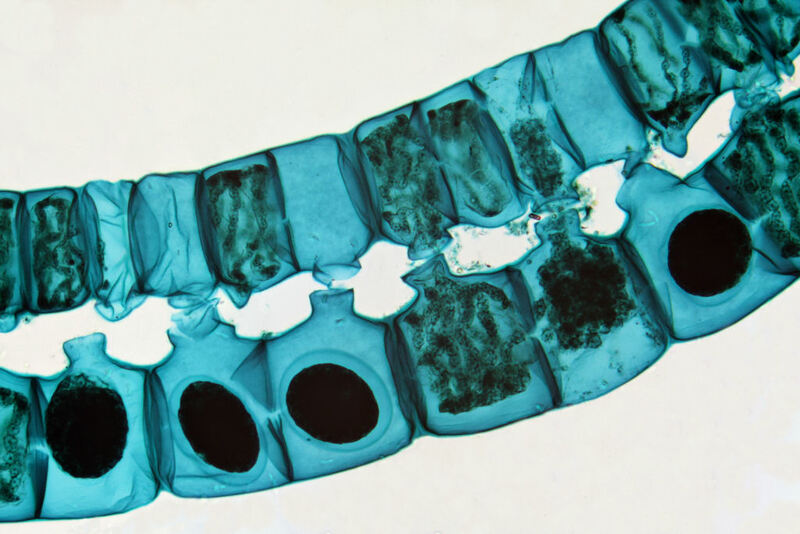 This focus stacking technique gives the photomicroscopist the extreme depth of field of scanning electron microscopy – but with the added benefit of true colour!